PaperCut is designed to fit into a huge range of printing environments, including those with differing platforms, one or many print servers (perhaps across many sites), diverse hardware and network layouts, and many different opinions on print policy. 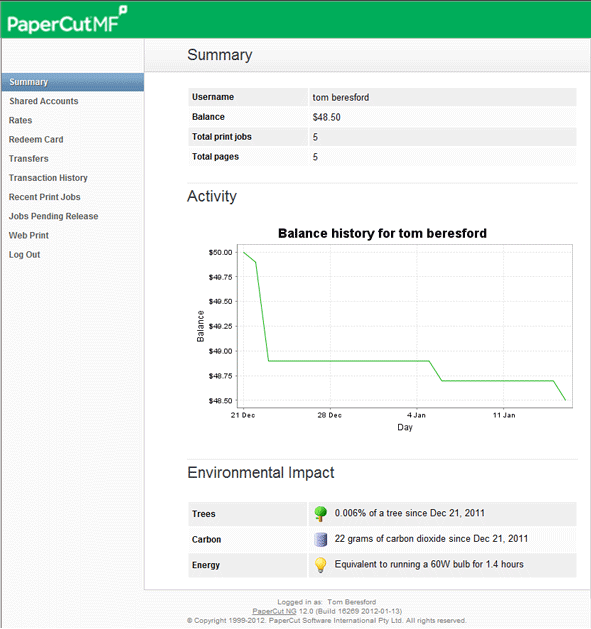 To achieve this, PaperCut comes configured for the most common scenarios out-of-the-box, but can easily be customized to suit your environment. PaperCut's modular architecture makes it possible to scale from the small and simple all-in-one server to the largest of multi-site networks. 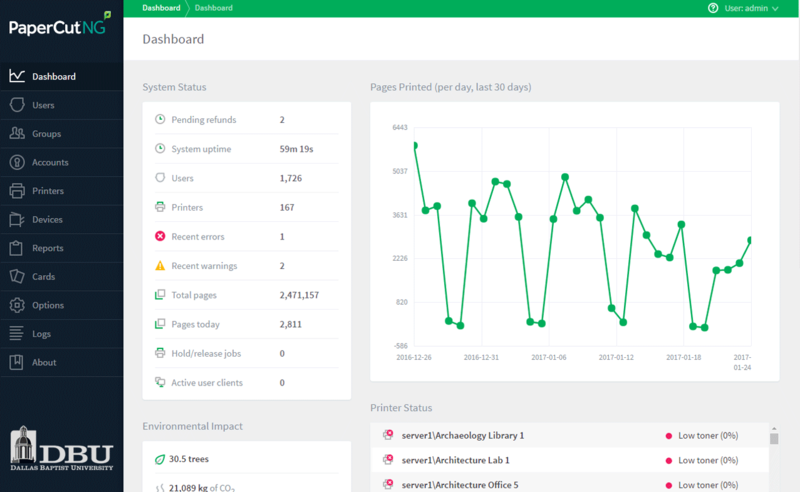 PaperCut can monitor all your printers, whether they are hosted on one or many print servers (even if your print servers run on a combination of Windows, Mac, Linux, and Novell). Click on the architecture diagram on right to see a larger version. Customizable web interface to match your organization's brand and colour. PaperCut ships with an embedded database to save the trouble of setting up your own. It is suitable for most environments, but some sites will prefer to host PaperCut's data on their own database. Using a dedicated external database provides improved scalability and allows for leveraging of existing backup/maintenance infrastructure. PaperCut supports the common databases out of the box, including Microsoft SQL Server/Express, PostgreSQL, Oracle, and MySQL. User and group synchronization from directory servers including Microsoft Active Directory, Apple Open Directory, Novell eDirectory, other LDAP variants, plus Unix/NIS/POSIX. Payment services such as PayPal, VeriSign, Authorize.Net, Blackboard, CBORD and others via the payment gateway module, plus custom payment services or other sources. Schedule enabling and disabling of printers at given times, such as disabling lab printers after hours. Display user print balance on an intranet page. Schedule a custom print quota addition for the start of the semester. Disable printing for a student when they are disabled in a student management system. Do much much more with advanced scripting! Display user print statistics and environmental impact counters on an intranet page using web widgets, or in the Windows Vista sidebar using the Vista gadgets.